Progress Pictures Of The Empty Nest! 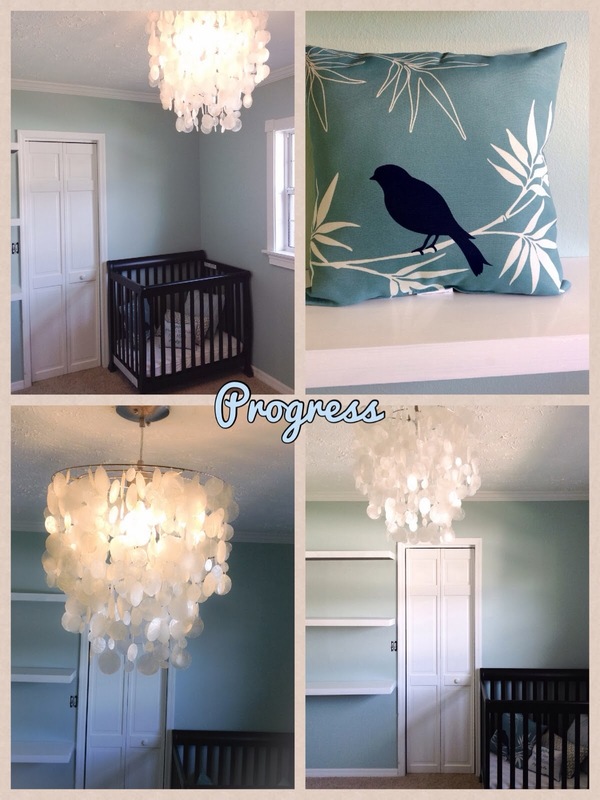 The Daily Nest: Progress Pictures Of The Empty Nest! Progress Pictures Of The Empty Nest! This is what we've got so far. Room painted...check, window trimmed out...check, chandelier hung...check, shelves painted...check. So I'm pretty happy!! I have bamboo blinds that will be hung tomorrow and curtains that will be here today, so much more will be happening in the next couple of weeks! I also ordered a daybed and a cute little desk and chair that's on it's way as we speak! And the biggest change will be the wood floors which are on back order, but should be here the first week of February! Also, if you're wondering about the crib, it's for our Granddaughter. So no ideas. This factory is closed! I found this adorable pillow this weekend at Lowes and I think it fits the nest theme perfectly! So that's it for now! But, things are happening everyday, so check back often!